If you’re like millions of Americans, one of your favorite morning rituals is a nice, hot cup of coffee. Indeed, many of us can’t even function without getting our fix of liquid energy. Yet, many seem to think this trend is dying down. According to the National Coffee Association, consumption rates have declined across all demographics. That could have an impact on coffee stocks, particularly if the decline accelerates. Luckily, coffee experts are quick to dismiss such reports as statistically insignificant. Flawed data collection could also skew results. More importantly, demand for the commodity is picking up internationally, providing new revenue sources for coffee stocks. That will spell relief for several boardroom meetings as the food and beverage sector hasn’t always been the kindest for executives and shareholders alike. There’s also increasing evidence that the new year will provide fundamental tailwinds for coffee stocks. First, the price of premium Arabica beans has normalized. In 2016, the average price per metric ton is around $163. That compares very favorably to 2011, when the average price exceeded $273. Not coincidentally, coffee stocks struggled in that time period due to squeezed profitability margins. The shift is welcome news to an industry that has seen some pressure in recent years. 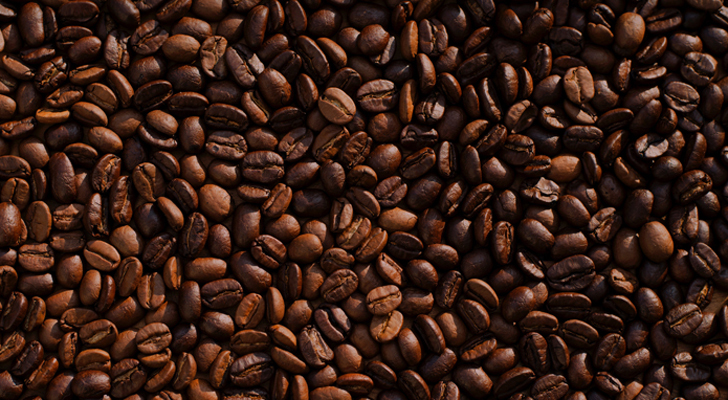 Here are three coffee stocks that are finally heating up the holidays! Neglecting Starbucks Corporation (NASDAQ:SBUX) in a story about coffee stocks would be criminal. That said, I can appreciate any hesitancy toward SBUX. Just last week, CEO Howard Schultz announced that he will step down from the throne. In his place will be Kevin Johnson, a close friend of Schultz and the current SBUX president and longtime board member. Those are some mighty big shoes to fill. Growing up with limited means in Brooklyn, Schultz turned a brilliant idea into a mainstream coffee branch. Today, SBUX is the “world’s largest coffee business, with over 25,000 stores in 75 countries,” according to The New York Times. Moreover, it continues to expand domestically and internationally. One of the main problems, though, is that SBUX is just not generating the kind of enthusiasm it used to. Despite a remarkable rally in November, shares are down 2% for the year. Not only does that underperform the benchmark SPDR S&P 500 ETF Trust (NYSEARCA:SPY), it also compares unfavorably to other coffee stocks. One of the causes, as noted by InvestorPlace contributor James Brumley, is that SBUX is paying more for less growth. While acknowledging the valid criticisms, I wouldn’t get too dour on SBUX. For one thing, as a company dominates an industry, it necessarily has to pay a higher cost for a declining growth rate. At this stage of the business, SBUX should be focused on maintaining its dominance. It’s exactly what the company is doing — not fixing what isn’t broken. There are definitely sexier names out there. However, for those not wanting to risk getting coal in their stockings, SBUX is the go-to pick among coffee stocks. 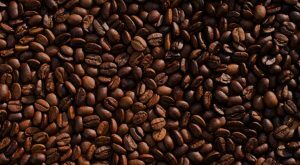 Although it’s not quite as iconic as Starbucks, Dunkin Brands Group Inc (NASDAQ:DNKN) is still very much a powerhouse among coffee stocks. The numbers don’t lie — there are nearly 12,000 of the flagship Dunkin’ Donuts stores spread out over 60 countries. Additionally, DNKN carries the Baskin-Robbins brand, which has over 7,600 retail locations. That’s serious firepower to help offset any risk factors impacting coffee stocks. Not surprisingly, DNKN is one of the top performers in the industry. Year-to-date, shares are up over 25%, which is an impressive haul for a largely secular company — any day is made better with coffee! It also overturns concerns that investors had about DNKN. In 2014 and 2015, the company hit a patch of weakness, with annual returns averaging -3%. Today, DNKN is back in winning form, charting a robust bullish trend channel. I expect more of the same in 2017. Not content on sitting back, DNKN is expanding its footprint. Management recently announced plans to open approximately 65 locations in the Dallas-Fort Worth market, which will share multi-brand space with Baskin-Robbins. Once complete, this will nearly triple the number of DNKN locations in the region. Additionally, Dunkin will partner with Kellogg Company (NYSE:K) to create coffee flavored Pop-Tarts. That’s another element of sales exposure that will allow DNKN to compete with Starbucks. Based on the nearer-term sentiment of coffee stocks, there should be more than enough room for these two powerhouses to thrive. At least BCCI gets credit for honesty. From an investment point of view, there’s no other way to rate BCCI stock other than a high-risk, high-reward trade. Since March, shares have lost more than 84% of value in the markets. That tells you all you need to know. At the same time, BCCI is up 40% since the beginning of October. The stock appears to be forming a baseline of support, which could signal continued bullishness. Obviously, I wouldn’t go overboard with penny stocks. However, BCCI offers a compelling idea in a resurgent sector. 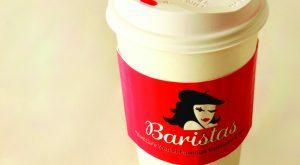 Article printed from InvestorPlace Media, https://investorplace.com/2016/12/3-coffee-stocks-to-heat-holiday-returns/.